To stop climate change, the path to a clean energy future in Ohio must be clear and free of obstacles. While the OEC has been part of a successful coalition fighting persistent attacks on our state’s renewable energy standards, Ohio’s laws that govern where wind turbines can be built present a huge roadblock for clean energy. How did we get here? In 2014, the Ohio General Assembly enacted wind turbine siting rules so stringent and unreasonable that for the past four years no new wind farms have been built. Since their enactment, the OEC has advocated for a fix to this problem in the Ohio General Assembly, but extreme anti-wind interests at the Ohio Statehouse have blocked bills that would unlock an estimated $4.2 billion in new wind farm investments. The OEC’s fight to fix this issue has now entered a new arena: the Paulding County Court of Common Pleas. Late last year, landowners and wind energy companies filed suit against the State of Ohio. They claimed the General Assembly unconstitutionally passed a law that has made it nearly impossible for wind energy to develop in Ohio. The Ohio Environmental Council agrees. 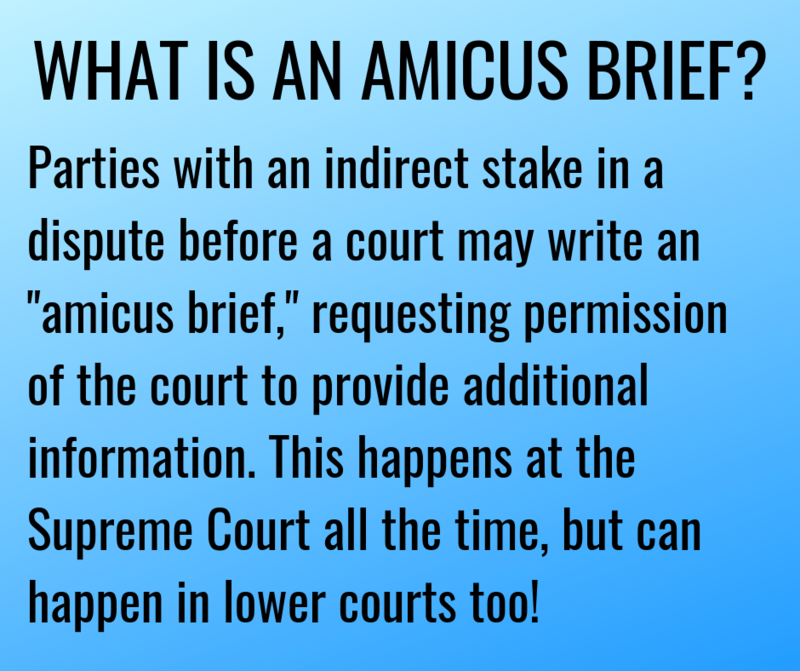 Late last month, we filed an Amicus Brief to support the landowners and companies willing to stand up to the antics of our legislature. Fixing this law is not only vital to the economy of dozens of communities across Ohio, it is an essential step toward our clean energy future and the fight against climate change. Climate change will impact our drinking water, our roads and bridges, our farms, forests, and the very air we breathe. If Ohio wants a sustainable future that avoids the worst effects of climate change, we must pursue solar and wind power and ensure Ohio’s laws create an environment that attracts companies building such projects to our state. Read more about the impacts of climate change to Ohio. However, we won’t see clean energy expand in Ohio if the General Assembly continues to put up artificial roadblocks in front of the clean energy industry. How did we get to the point that Ohio is no longer a place to build new wind farms? Legislators slipped a single amendment into a budget bill that increased how far a wind turbine was required to be sited from adjacent property lines. After the change, a wind farm that could have had hundreds of turbines was reduced to only a few dozen, making it uneconomical to build a wind farm in Ohio. However, the Ohio Constitution requires every bill passed by the legislature to contain provisions related to only one subject matter or issue area. For example, when the General Assembly passes a budget bill, it can only change laws that pertain to funding the operations of the state government. But the wind turbine setback law doesn’t pertain to the funding or operation of state government, and the OEC, along with the landowners and wind companies who filed this lawsuit, believe it is an impermissible amendment. Private landowners have the right in Ohio to lease their property for energy production, whether it be for a wind farm, a solar array, an oil and gas well or an underground coal mine. Ohioans’ deserve to exercise this right in exchange for monetary compensation. Because of this unconstitutional move by the General Assembly, the landowners in Paulding County and many others across the state of Ohio, haven’t been able to place wind turbines on their land. This means missed opportunities for lease payments or royalties earned from leasing their land. More importantly, since wind energy has completely stalled, we’re continuing to relying on dirty and expensive fossil fuels for our electricity, as opposed to less expensive, less risky, and less polluting sources. But the State of Ohio isn’t giving up without a fight. It has filed a Motion to Dismiss, arguing that the landowners and wind companies don’t have a claim at all! What is more, the State claims that the wind turbine setback law is constitutional. This is despite the fact that the law was tucked into a budget bill alongside nearly one hundred other amendments and quickly passed without any opportunity for public input. Backroom deals like this one are exactly what the one-subject rule was designed to prevent. And so the OEC filed its Amicus Brief in support of the landowners and wind companies because we believe the setback law was improperly revised, and the damage this law causes to Ohio’s renewable energy landscape must be corrected in light of the ever-increasing threat of climate change. The OEC will watch this case closely, and we’ll keep you posted as it progresses through the courts. We’re hopeful that we’ll soon have a fix to Ohio’s wind turbine setback law, restarting Ohio’s investment in wind farms and paving the way toward our state’s clean energy future.